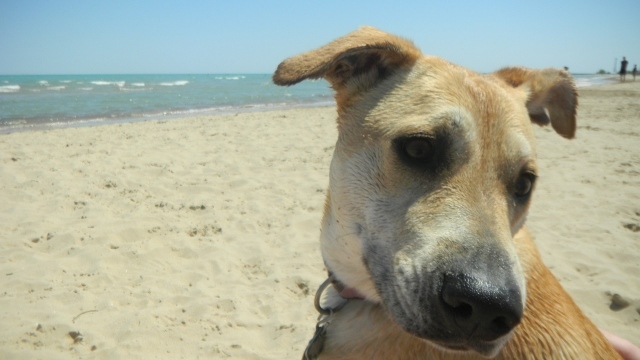 As you may have gathered from my blog posts, we have an awesome dog named Phoebe. In our apartment, we basically made our sunroom overlooking the backyard into Phoebe’s room. She had a couch, her crate, and that’s where we kept her food and water. Before she was given free reign of the apartment, we put a dog gate in the doorway between the sunroom and the kitchen and she’d just lay on the couch in the sun all day. In our house, we no longer have a designated Phoebe space. She had a bed in the family room, where we spend most of our time, but she did lose her couch in the move. There just wasn’t anywhere to put it. Even finding a space for her food and water was tough. Our kitchen is hardwood, so I wasn’t too keen on her spilling water on the floor while she drank. If we weren’t home, the water would just sit on the wood until it evaporated or one of us got home to mop it up. The only tile in the house is in the entryway and by the back door, so our options were fairly limited. We decided to keep Phoebe’s things by the back door, so our guests wouldn’t come in to a big bowl of dog water. If we were putting Phoebe’s food and water (and bone rug, which you can see how I made here) in the corner, I thought I’d really make it Phoebe’s little space. We had the green canvas already at the apartment. 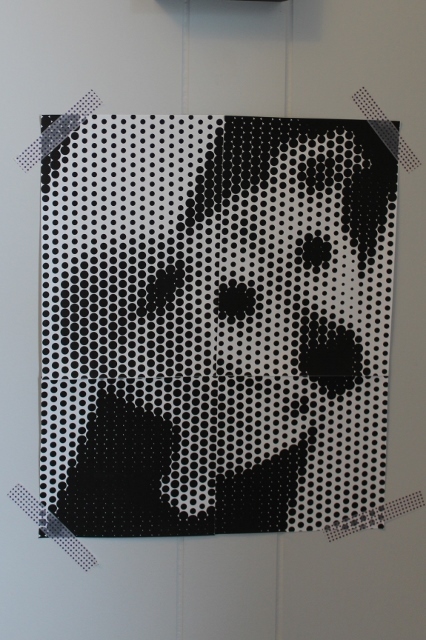 A friend gave me the little sign that reads “All You Need is Love…And A Dog.” The newest addition was the pixelated photo I made of Phoebe, using this website. I just uploaded the photo, chose the size, taped it together, then used washi tape to attach it to the wall. I’ll probably change up the corner in time, maybe add another item underneath the pixelated photo, but for now, I’m really happy with the way it looks.